From the desk of UCCA President Barry Bernstein: The Community Plan Update Subcommittee met on March 19 at UCHS; you can read Katie Rodolico’s report in the newsletter. The next meeting of the UCPG planning group is Tuesday, April 9; the next meeting of the Update Subcommittee is scheduled for Tuesday, April 16, with location to be determined. These are public meetings, so try to attend, participate, and share your vision for what you feel is important to the future of University City. Spring is here! With all the rain accumulated these past few months our canyons (and yards) are more beautiful and lush than ever; and the wild flowers are in abundance. However, this may become a concern when drought/fire conditions are elevated; as well as how to remove all the anticipated and visible weeds growing on our street medians (and in some cases, in our own yards). Please do YOUR part in maintaining your sidewalk parkways and front yards. Read all about it in UCCA’s April University City News newsletter. Paper copies are delivered to residents in south University City this weekend and are currently available at local libraries and recreation centers. And available for PDF download at Newsletter April 2019 or for view as a FlipBook below. The Padres have opened their 2019 season (and won their home opener) and hopefully will have a much more successful year. Standley Park is holding their annual Spring Egg Hunt on Saturday, April 13; bring your kids and a basket to collect eggs for decorating or placing on a Seder plate (the Easter/Passover connection!). This past month UCCA honored two major businesses that have contributed to the University City community over the years. Check the newsletter for photos of Ryan Perry, accepting for Westfield/UTC and Michael Borchard, owner of Carl’s Jr.
At our March meeting, UCCA voted to support UCHS Music Department’s “Sights and Sounds” event to be held at the JCC on April 19, and EdUCate!’s 25th Anniversary edition of “Taste of the Triangle” to be held at Pirch at Westfield UTC on May 3. The Standley Park Rec Council 4th of July “UC Celebration” planning committee, chaired by Randall Tonini, is pleased to announce they will have the two very popular free activities for children 10 yrs. and under that were introduced last year will be returning. The two are “Pony Rides”, sponsored by the Ryan Ahearn Group, and “Snow-Day” sponsored by realtor Nancy Beck. Be sure to plan some great daytime family fun at the “Celebration”, and come back later to enjoy a picnic dinner while enjoying the closing evening concert. The next UC Celebration planning meeting is Wednesday, April 3, at 7 PM at the Standley Recreation Center; all are welcome. Our next UCCA meeting will be on Wednesday, April 10 at 5:30 PM (networking) and 6 PM (meeting called to order) at the community library at 4155 Governor Drive. Mark Salata will lead a special discussion focusing on ideas on how to improve street safety on Governor Drive. On behalf of the UCCA Board, I want to wish you and yours a most wonderful Easter and Passover holiday season. 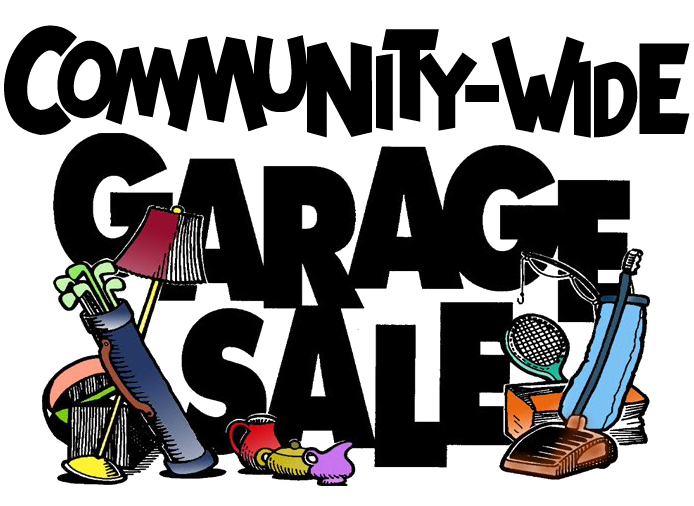 Remember, University City is “more than just a neighborhood”… so pull those weeds and start your Spring Cleaning! 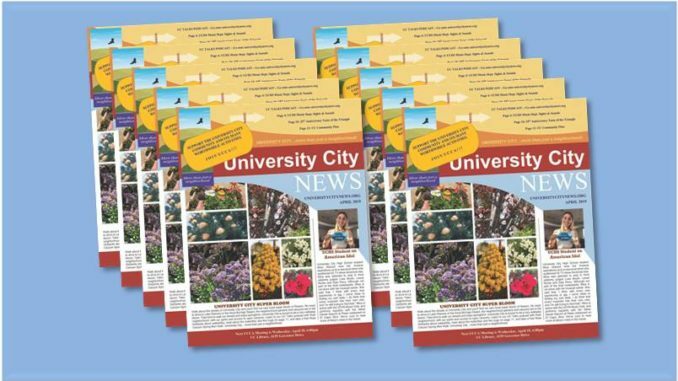 Download UCCA’s April University City News newsletter at Newsletter April 2019 or download past issues at https://www.universitycitynews.org/ucca-newsletter-archives/; view as a FlipBook below.